Remember those hidden pictures puzzles in the magazines when you were little? Well, they have been updated for the digital age so your kids can experience them too. Introducing Hidden Pictures Puzzle Town, an entertaining and educational experience that promotes quality screen time for families. In Hidden Pictures Puzzle Town, kids explore a colorful town and discover five different types of puzzles. There is the classic hidden pictures puzzle, which Highlights is famous for, plus others: spot-the-difference puzzles, mazes, matching games, and picture mix-up puzzles. The app has 50+ puzzles at the moment of review, with five new puzzles added each week. Each puzzle starts with a simple tutorial. 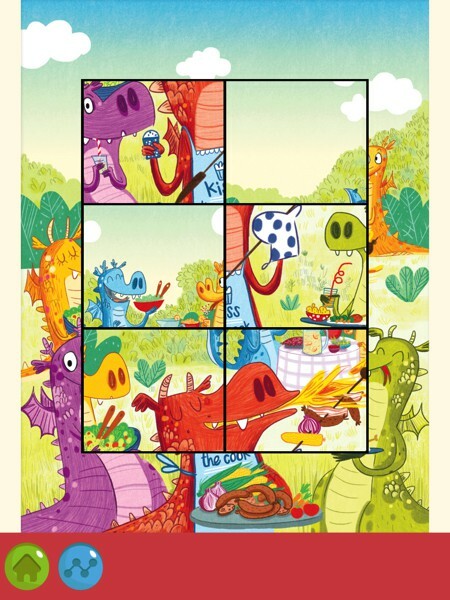 Hints are available in each puzzle, and there is no timer or score so kids can take their time. The more puzzles kids solve, the more challenging future puzzles become. Additionally, they unlock bean-like characters to play with, dress up, and feed. Hidden Pictures Puzzle Town is a subscription-based service: a small fee must be paid each month if you want unlimited access to all the puzzles. However, you can sign up for a free 30-day trial to see if the app is a good fit for your kids. The app is playable in English (US & UK), Spanish, and Chinese based on your device's language. It has no third-party ads and can be played while offline. Hidden Pictures Puzzle Town is a fun way to pass the time while also engaging kids to practice multiple skills such as critical thinking, problem solving, memory, and fine motor skills. The puzzles are colorful, entertaining, and appropriately challenging for a good range of abilities. And with several different types of puzzles available, every child will have at least one puzzle they enjoy solving. If kids wish to take a break from puzzle-solving, they can play with the bean characters they have unlocked. These beans, when given the food they asked for, allow kids to play mini games such as whack-a-mole and popping bubbles. Though the games are short, they are decently refreshing. Hidden Pictures Puzzle Town is highly recommended for preschool-aged kids. It has all the makings of a great kids' app: it's fun, colorful, and adaptive to a wide range of abilities. 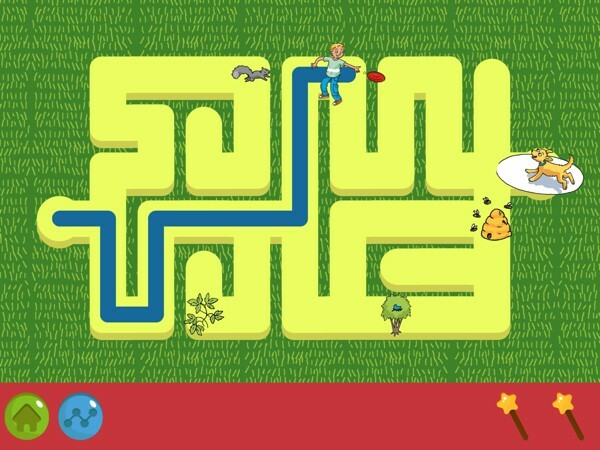 Kids will love looking at the amusing illustrations as they solve the puzzles, and earning rewards for their characters. With 50+ puzzles to discover and new puzzles added weekly, this app is sure to get kids coming back. In Highlights Shapes, kids drag and drop shapes of various sizes and colors to complete a series of puzzles that are woven into story. The puzzles range from simple to slightly more complex, and highlight how everyday objects are made out of basic shapes. Suitable for ages 2 and up. In Fiete Hide and Seek, kids explore vibrant landscapes to find the sailor Fiete. These landscapes are randomly generated so kids can always find something new every time they play. 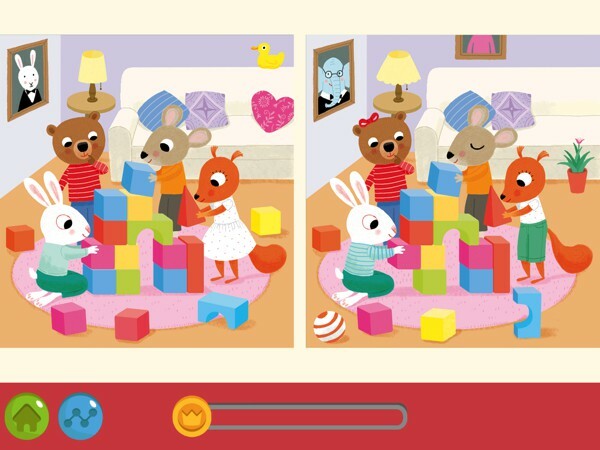 It's a simple app, but there is much fun to be had as kids discover various surprises hidden in each scene. Excellent for preschool-aged kids.